This is my least favorite part: packing everthing up, getting organized, finding all of our lost allen wrenches, and taking a zip-tie inventory. The PI stumbles into breakfast after our last night on sky. 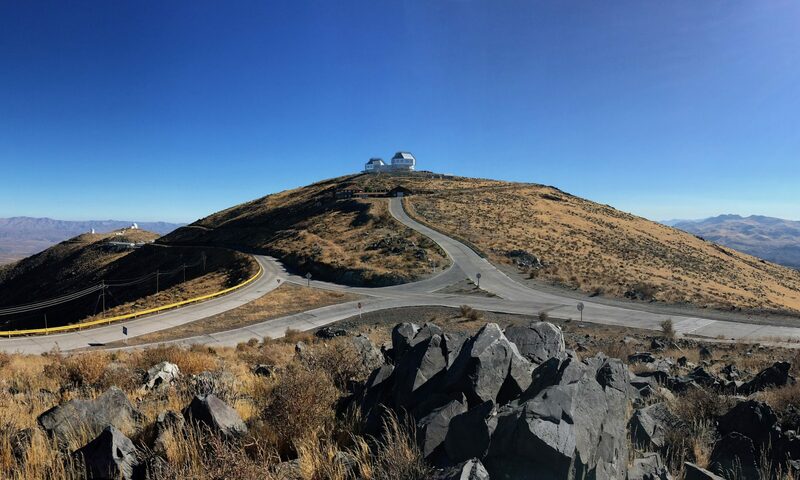 The ASM came off the telescope yesterday, and rode down the hill first thing this morning. The MagAO ASM backs up to the clean room, where it will sit safely waiting for us to return in March, 2013. The last major operation was to unbolt and crane the NAS off the telescope. Juan reviews the NAS removal procedure before we start. Laird untangles our NAS lifting harness. Every single member of the project has fought this contraption at least once, and lost . . . miserably. The NAS weighs 1800 lbs (remember? that's why we buy C/75 steel toes) so the crane picks up that much weight before we remove the bolts. Once the NAS came off, we got a look at the W-Unit for the first time in a few weeks. Here’s our wollaston beamsplitter, which helped deliver some amazing SDI science at visible wavelengths. The VisAO SDI Wollaston beamsplitter. The elevator is voice activated. Kate, who is using the VisAO SDI mode to study disks around young stars, had never actually seen the fully assembled instrument before. Here’s a picture of me and Kate after a quick tour of the components she’s been operating the last few nights. Jared and Kate looking happy with VisAO as they help take it and the rest of the NAS off the Clay telescope. The NAS heading down on the elevator, on its way back to its parking spot in the Aux building. See you in March! We also cleaned up some of our, shall we say, less rigorous engineering solutions. Katie with one of her many significant contributions to the project - our power cord protector. Alas, this has been scavenged and returned to service as packing material for Vizzy's monitors. Laird’s folks happened to wander by today (why are you surprised? it’s not like we’re on a mountain top in a remote area of South America or anything). As is his wont, Laird put them to work settling the ASM into the clean room. I hear they helped flip it back to zenith. Perhaps even more appreciated was a chocalate fix for certain members of the team who didn’t plan very well. A welcome change from Chilean oreos. Don't get me wrong, the cookies are great. But this is day 27. “We should come up with something that looks less like garbage. I mean, it’s well decorated garbage. But.” – Povilas Polunas.